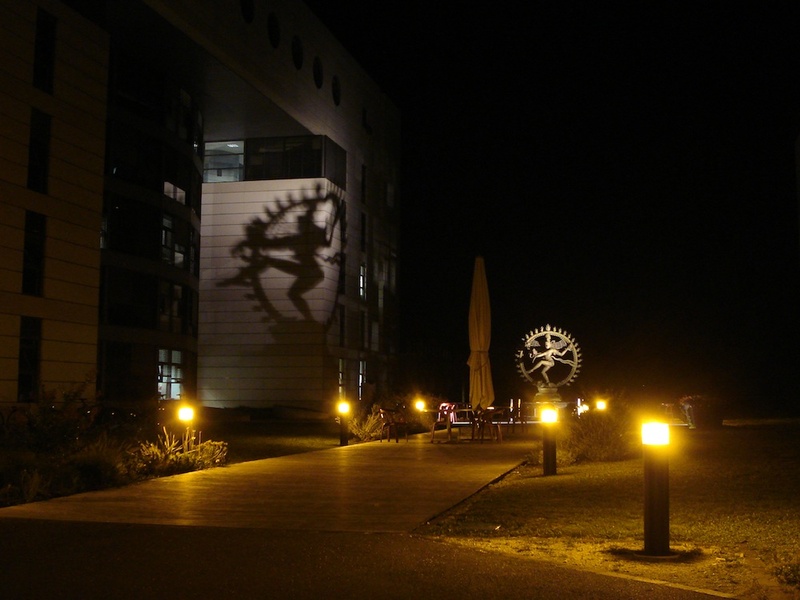 In front of one of CERN’s most imposing and industrious buildings stands a statue of Dancing Shiva. During the day it’s a beautiful reminder of the friendship between CERN and India, celebrating the cosmic ballet that surrounds us all. By night it casts an ominous shadow over building 40, where discoveries are made, decisions are taken, results are shared and gossip is spread. But what does Shiva represent to us?